TAL offers two waterproofing systems to waterproof showers and external wet areas such as balconies and roof tops. It is crucial to waterproof wet areas before tiling commences. 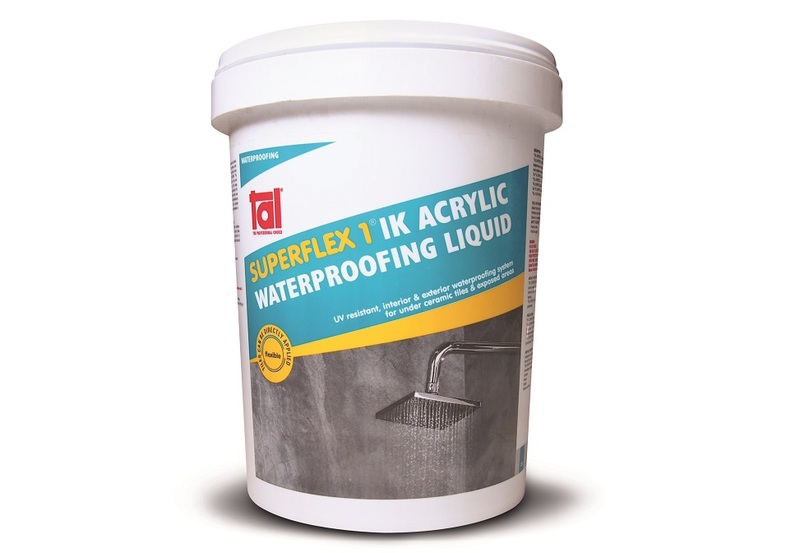 TAL SUPERFLEX is an easy-to-use acrylic waterproofing system onto which ceramic tiles can be fixed directly using a suitable TAL tile adhesive system, making it ideal for waterproofing showers or balconies before tiling as well as exposed areas such as non-trafficable roof tops. 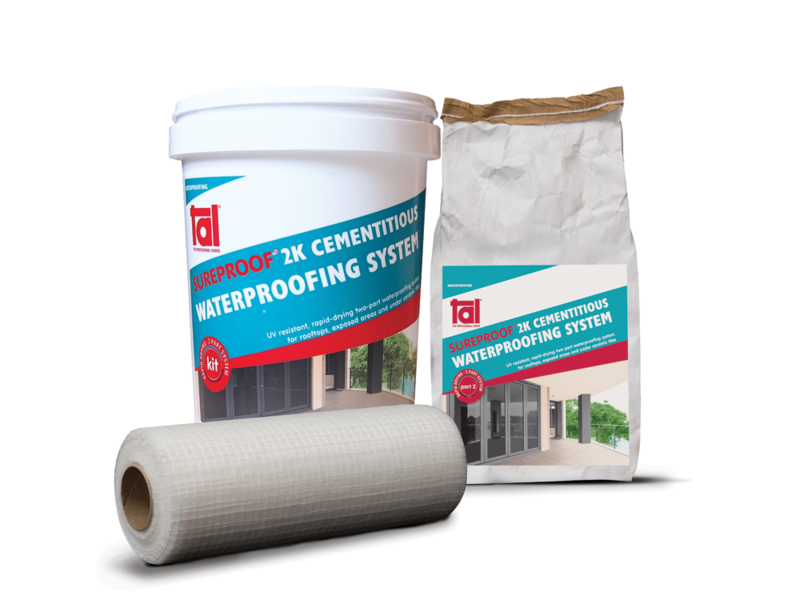 TAL SUREPROOF is a tough, flexible and seamless two-part liquid applied membrane suitable for waterproofing shower recesses, internal wet areas, external decks, external wet areas, planter boxes and on trafficable roofs. A ready to use acrylic-based liquid waterproofing system which may be applied by brush or paint roller, suitable for waterproofing shower recesses, internal wet areas, external decks, swimming pools and water features when covered with tiles, as well as non-trafficable roof slabs and parapet walls, It cures to provide a flexible, waterproof membrane capable of accommodating normal structural movement in the background. Must be used in conjunction with TAL SUPERFLEX MEMBRANE.Tiles may be applied directly onto the cured TAL SUPERFLEX using an appropriate TAL adhesive system. A tough, flexible and seamless rapid-drying two-part liquid-applied waterproofing membrane. It is suitable for waterproofing shower recesses, internal wet areas, external decks, planter boxes, roof slabs, swimming pools and water features when covered with tiles or decorative coatings/toppings. Applied by block brush or short hair enamel paint roller, TAL SUREPROOF possesses excellent flexibility and UV resistance which allows it to be left exposed on non-trafficable roof slabs and parapets walls. TAL SUREPROOF MEMBRANE must be used as reinforcing in all internal corners and interfaces, coving areas, around drains, etc. Tiles may be applied directly onto the cured SUREPROOF using an appropriate TAL adhesive system.